If you are planning an event, we are here to help. The best place to start is with a phone call so we can talk about your plans and ideas. In the meantime, the following info may answer some of your questions and will give you a general idea about the services we offer. 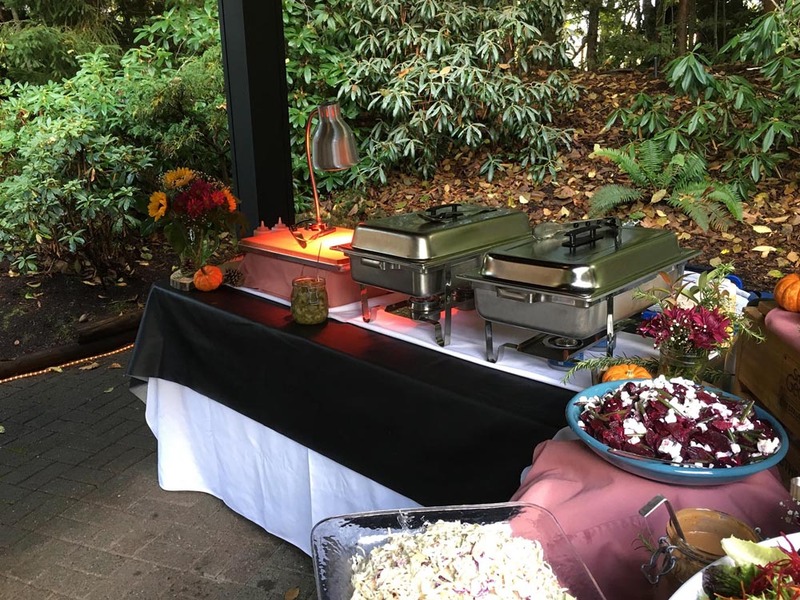 Why choose BBQ for your next event? 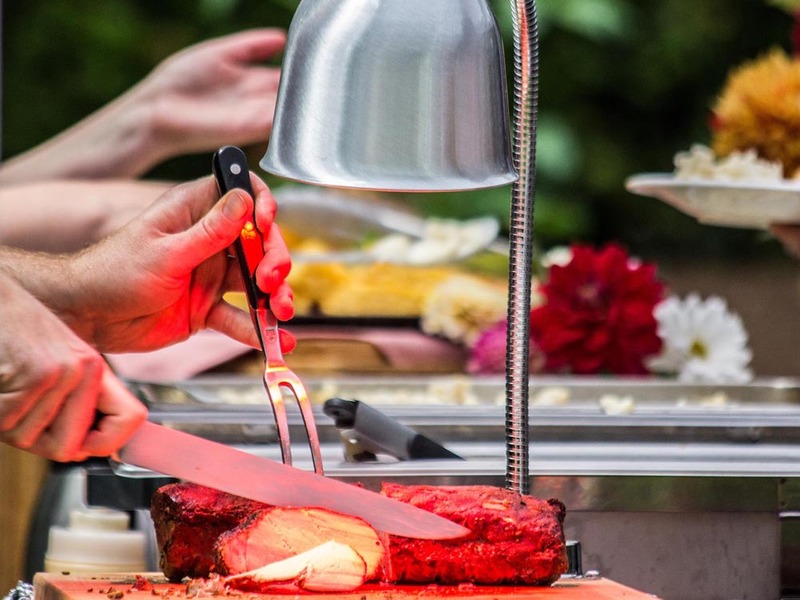 Traditional style BBQ lends itself really well to catered events of all types and sizes. It can be very casual or it can be classed up. All of our protein items are smoked onsite in our restaurant, with some cuts cooking for up to 14 hours. This long, slow cooking technique creates tender morsels of meat with unparallel flavor and texture. BBQ holds extremely well and can be reheated easily, without compromising quality. 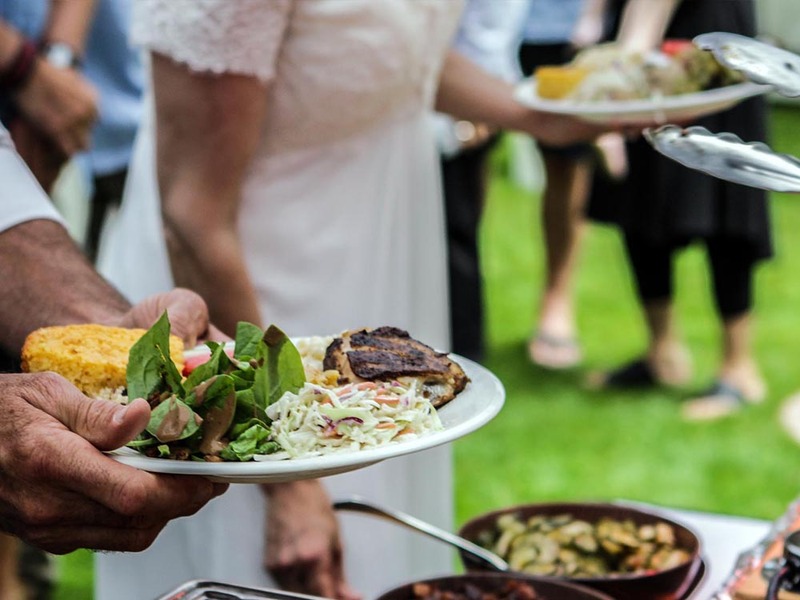 This means that we are typically not cooking at your venue, and depending on the complexity of the menu, we often don’t need a kitchen on site in order to cater an event. This allows us to keep things simple with the focus on delivering a high quality menu with a variety of items that will delight your guests. For orders over $100.00 we offer a delivery and set up service. The cost for this service depends on the location of your venue and is typically $25 – $35 in and around Nanaimo. Many of our customers like to come in to the restaurant to pick up their order – you are welcome to do that too. Our team will walk you through instructions to reheat your menu items. 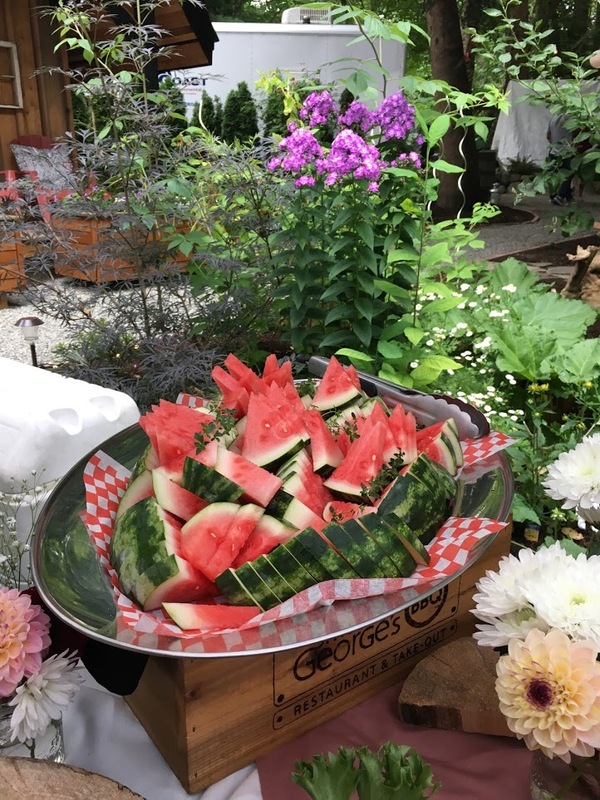 Please call us to discuss pricing if you are planning a wedding or larger event where you would like to have staff on hand to set up, oversee and serve your buffet. We strongly recommend this service for groups of 50 or more guests. Pricing will depend on the number of guests, location, and duration of the event. 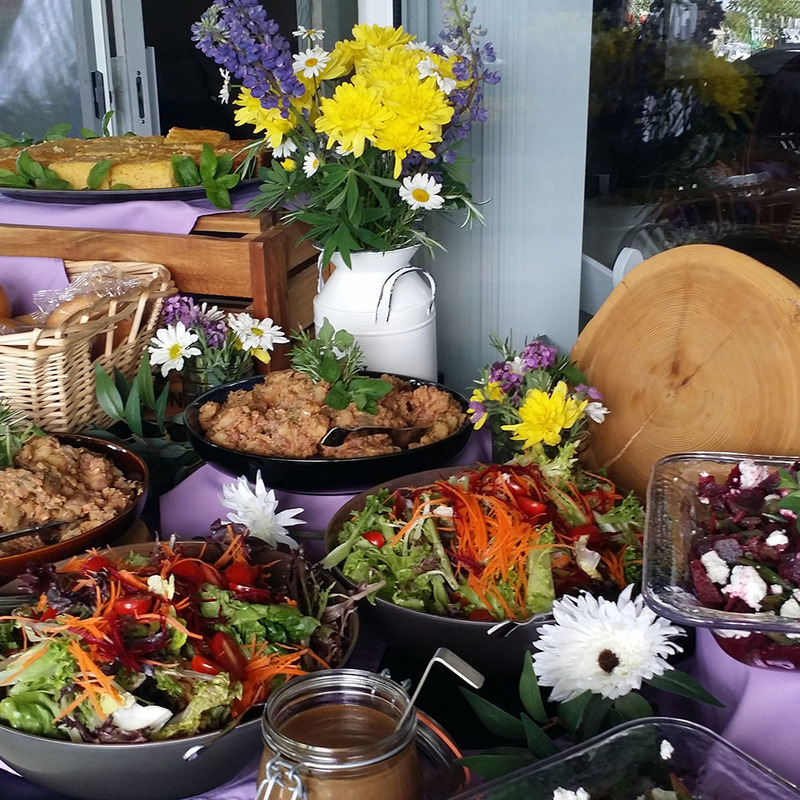 Please note that while we are happy to look after the food and set up & staff your buffet, we do not provide china & cutlery, offer bar tending / wait staff services, or set up tables, chairs and place settings for your guests. Triple T Party Rentals in Nanaimo and Black and White Party Rentals in Parksville are excellent resources for these types of services. We can also provide paper plates, paper napkins, plastic cutlery & wet ones: price will depend on number of guests. Payment is due on the day of your event – a final invoice will be provided. We accept cash, cheque, credit card (visa & master card) or debit. You can call in your credit card number if that is convenient. If you are booking a wedding or larger event, a 50% deposit may be required to confirm your date in our calendar. Once a deposit is paid the date is held exclusively for you. The deposit amount will be deemed full payment (non refundable) if you cancel your event within 120 days before your confirmed date. The final balance is due on the day of your event. We accept cash, cheque, credit card (visa & master card) or debit. Menu prices found on this website are for food only and do not include taxes. GST (5%) will be added to your quote. Please note that food costs can change without notice and are often beyond our control. Therefore menu prices are subject to change. Many catering companies add a gratuity (tip) to the final bill. This can be as much as 15% – 18% on top of all other expenses. We do not charge a gratuity. We prefer to charge a flat fee for delivery, set up and staffing services that takes into account our costs for providing those services. If you would like to tip us, we will happily accept, the amount is up to you. If you are comparing quotes from a couple of different caterers be sure to ask if they charge a gratuity and how much it will be. As noted above, its best to start with a phone call to check availability on our calendar and discuss your ideas for your event. Many clients send an email asking for the cost per person to have their event catered. Please understand that it is virtually impossible to provide this information without having a discussion about your event first. There are so many variables and options that can affect pricing. This is a good thing as it allows us to customize a menu that works for you. Before we chat, review the sample menus on the website. Its also a good idea to have a budget in mind. Once we’ve discussed your event, I will put a quote together for you. If you do not have a budget, that’s OK, but it may take some back and forth before we find the right balance for your menu. When the menu is decided an invoice is created to confirm your date in our calendar. Please note that until an invoice is issued, your date is on hold (not confirmed) and may be taken by another client if we are unable to contact you to confirm your commitment. We can make changes to your menu up to two weeks prior to your event date. For most events, payment is due on the day of your event. Deposits may be required to confirm dates for weddings or larger events that are booked well in advance. Thanks for thinking of Smokin’ George’s BBQ for your event. I look forward to hearing from you.